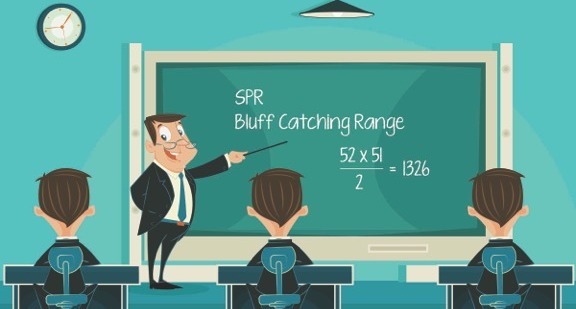 When you’ve played poker for years, it’s easy to forget that technical poker speak may as well be a different language. Many players just picked up a deck of cards for the first time and are wondering what the hell a reverse implied range merge against a large stack to pot ratio is. Maybe you are new to poker as well and want to start analyzing the game at a deeper level, but the lingo and foreign concepts get in the way. To help, _Card Player_ brings you this brand new series, Explain Poker Like I’m Five. Every issue, we’ll take on a new term or idea, perhaps one you might come across elsewhere in this very magazine, and we’ll break it down to its simplest components. When a poker player has bet or played their hand in a manner that limits its possible holdings to one of two distinct subsets, he is said to have a polarized range. Just like a person can have a polarizing opinion, meaning others will either agree or disagree, a poker player can have a polarized range. Based on the line taken by the player, he may limit the scope of his possible hole cards to two very different kinds of hands. There is no gray area in a polarized range. Your opponent either has a hand he wants to show down or he is bluffing. He is either trying to get value or trying to push you out of the pot. A player can polarize their range preflop. Perhaps he rarely three-bets, but when he does, he is either doing it with hands like K-3 offsuit or he is doing it with pocket aces. He would never three-bet preflop with pocket nines though. He prefers to just call an opening raise with those medium-strength starting hands. This type of player has a polarized three-betting range. A player can also polarize their range on the river when there are no more cards that can come out. The board reads J 10 5 Q K and you bet the river with K J for two pair. Your opponent then raises. Since your opponent would not typically raise a set, two pair, or even a low straight on this board for value, he has a polarized range. He is either raising because he has an ace for the nuts or because he is trying to make you fold by bluffing. When your opponents polarize their range, and you are able to detect it, they become much easier to exploit. You can make more optimal decisions because, instead of considering a wide range of hands, you only have to consider two.